Like Robin Glaysher, North Richland Hills resident Kurt Smith lost his corporate job and relied on his own creativity and entrepreneurship to scratch out a living. 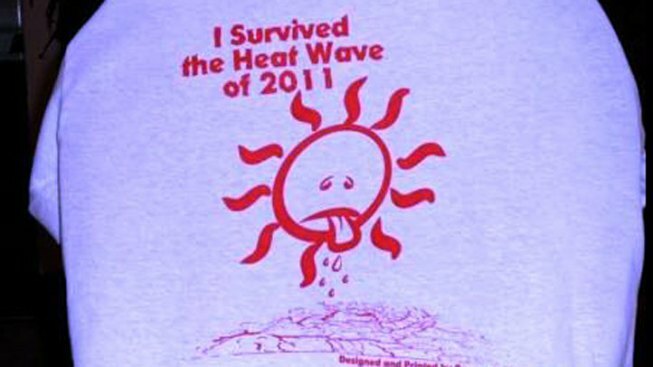 Smith hit on the idea to market T-shirts that capitalize on our ongoing meteorological furnace. Let’s hope we’re not premature on that brag because this heat wave ain't through with us yet. Anyway, $10 scores a T-shirt. Smith lacks a website just yet but interested parties can arrange a purchase by dropping him an e-note or calling 817-675-2025. I wish him all the best with his new venture, but I have to pass on buying one. I drive a convertible and the diagonal sweat-stripe across my chest pretty much conveys the same message. Bruce Felps owns and operatesEast Dallas Times, an online community news outlet serving the White Rock Lake area. He’s cheering for all those out-of-work people who turn to their inner entrepreneur.